Anna McNuff is an endurance athlete, adventurer and mischief maker. She was named by the Guardian as one of the top female adventurers of our time, Condé Nast Traveller has recently included her in a list of the 50 most influential travellers in the world. 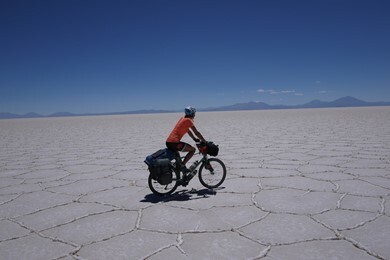 She is the UK ambassador for Girl Guiding, and has cycled over 20,000 miles in Europe and the Americas, including through all 50 states of the USA. She has also run the length of New Zealand, and has a penchant for rollerblading. The plan was simple. George Mahood and his friend Ben had three weeks to cycle 1000 miles from the bottom of England to the top of Scotland. There was just one small problem… they had no bikes, no clothes, no food and no money. Setting off in just a pair of Union Jack boxer shorts, they hoped to rely on the generosity of the British public for everything from food to accommodation, clothes to shoes, and bikes to beer. It’s the night of Malcolm and Kate’s party. Jan and Nick are invited, but Nick has hurt his back and taken to his bed, leaving Jan to go to the party on her own, where she is drawn together with her ex-boyfriend Trevor. Trevor’s wife Susannah seeks refuge with Trevor’s parents, Delia and Ernest, leading to a night of comic confusion, infidelity, DIY and pilchards, hilariously skewering middle-class relationships as only the master Alan Ayckbourn can. An amateur production presented by arrangement with Samuel French. Renowned for their hit songs I Will Love You, When You Were Sweet 16, The Green Fields of France, The Old Man, Red Rose Café, From Clare to Here, Her Father Didn’t Like Me Anyway, Leaving Nancy and Steal Away, The Fureys have been entertaining audiences worldwide for 41 years. 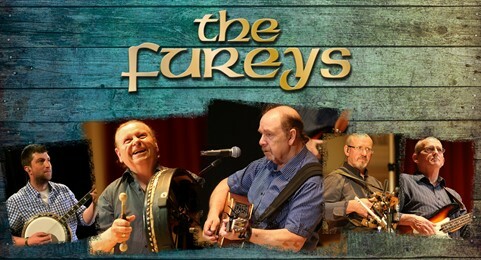 The Fureys are responsible for some of the most stirring music ever to capture the public imagination. 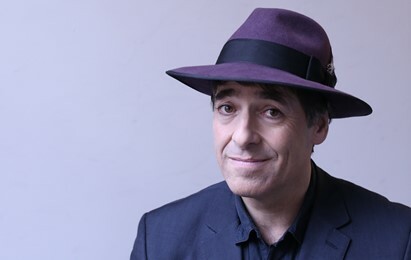 Their folk-based music has received standing ovations in some of the biggest concert halls of the world and they credit their musical ability to their parents, Ted and Nora, who were well known musicians themselves. They encouraged their sons to play music from a very early age and there was live traditional music in their house almost nightly. Their emotive songs stir many emotions….tears and laughter, sadness and joy. Mary – retail expert, business woman and ‘Queen of Shops' – comes to Buxton to discuss her life, her career, and her new book Work Like a Woman. Drawing on decades of business experience, it’s packed with top tips, honest advice and lively tales from a woman on a mission to make the world of work a better place, for everyone. Don’t miss this chance to hear Mary’s advice on how to be happier, more productive and more collaborative, whoever you are and wherever you work. A few years ago, it seemed unlikely that the UK would vote to leave the EU. We had a reasonable opposition to the Tory Government, Donald Trump surely wasn’t going to beat Hillary Clinton and Mark was living the married suburban ideal. But don’t worry as Mark thinks Every Little Thing’s Gonna Be Alright. 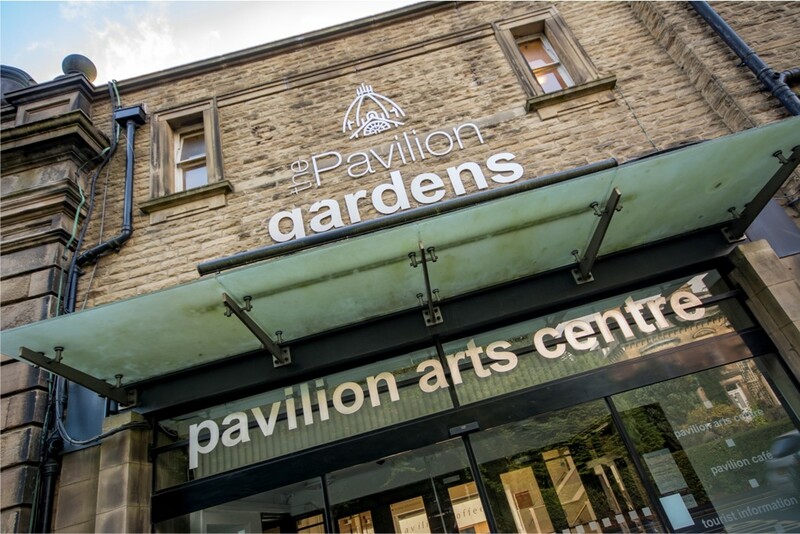 The Pavilion Arts Centre is housed in the Pavilion Gardens complex behind Buxton Opera House. It has two spaces, a 360-seat Main Room and 93-seat Studio Theatre. The Arts Centre is used for a mixed programme of stand-up comedy including the Buxton Buzz Comedy Club, music events such as Coffee Concerts and lunchtime jazz, and performances by the Buxton International Festival and Buxton Festival Fringe. It's also home to Buxton Cinema, which shows all the latest blockbusters alongside Silver Screenings, Family Friendly films, live-streamed performances and accessible screenings. Buxton is easy to reach from the A6, A515 and A53. The theatre is well sign-posted once you reach the town centre. A train service is available from Manchester Piccadilly Station to Buxton. and the town is well served by bus routes to and from local cities, towns and villages. There is on-street pay and display parking near the venue and a car park behind Pavilion Gardens, which is a short walk away. The car park is free after 6pm (please note: the covered area of the car park closes at 6pm). There is also free on-street car parking after 6pm close to the venue, but please make sure that you avoid the Residents Parking Scheme areas. Pre-show and interval drinks are available. The bars open 45 minutes before each performance.